The compromise legislation repealing Nevada’s threatened withdrawal from the TRPA will be passed out of the Assembly Government Affairs Committee Thursday, Speaker Marilyn Kirkpatrick said. The measure containing amended language developed between Nevada Gov. Brian Sandoval and California Gov. 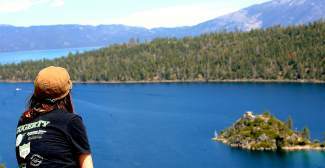 Jerry Brown and lawmakers from both states not only pulls back Nevada’s threat to withdraw from the bistate compact, but agrees that both states will work to implement new regional compact rules developed over the past 18 months and partner into the future on protecting Lake Tahoe — while also committing to include economic conditions in developing and adopting rules at the lake. Another key provision in the amended Senate Bill 229 is the law would establish a burden of proof for anyone challenging the regional plan or TRPA Governing Board decisions, said Gerald Gardner, Sandoval’s chief of staff. 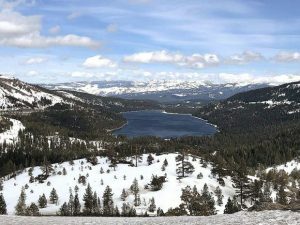 The Assembly Government Affairs Committee’s hearing Wednesday in Carson City on the bill came a day after the two governors announced a renewed bistate partnership to restore Lake Tahoe. He said that includes pledging to support the newly developed regional plan, even though it’s currently being challenged in court by the Sierra Club. TRPA’s new regional plan not only recognizes economic conditions in considering development and other actions at the lake, it surrenders a significant amount of authority long held by TRPA to the two states and the five Nevada and California local governments in the basin. SB229 sponsor Sen. David Parks, D-Las Vegas, said SB271 of the 2011 session threatening withdrawal did its job, bringing all stakeholders together to develop the new plan. Conservation and Natural Resources Director Leo Drozdoff told the panel Wednesday that the bistate relationship in cooperatively managing the basin will be stronger with the new regional plan and the commitment of both states to work together. He said the “added burden” on groups wishing to challenge the plan is important, pointing out that the lawsuit challenging it was filed despite passage of the new plan by a 12-1 margin. Kyle Davis of the Nevada Conservation League said he was satisfied because the deal mainly removes the threat of disbanding the TRPA from the law. The measure is expected to easily pass the Assembly Thursday, Kirkpatrick said, and win Senate approval for the amendments in the compromise plan. Sandoval threatened to veto the original version of the bill saying it was too soon to pull back the threat but, since his office helped develop the compromise, he is expected to sign it. Sen. Harry Reid, D-Nev., praised both Sandoval and Brown for their work in bringing all parties together on the issue. “Their agreement will allow the local communities in both states to better manage the lake and conserve its natural splendor and the many species that make their home in the basin,” he said, adding that he will work to win congressional approval of the regional plan backed by the two states. TRPA was created by California and Nevada and sanctified by Congress in 1969. It puts major environmental and development decisions in the hands of the bistate board requiring a majority of both states’ members for approval. 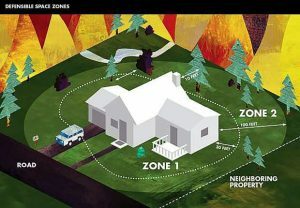 Bonanza Editor Kevin MacMillan contributed to this report.